Certified 100% Organic means that all the ingredients in a product have been grown or raised according to the USDA’s organic standards, which are the rules for producing foods labeled organic. 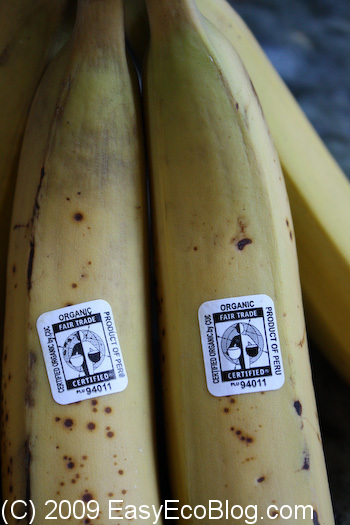 Certified Organic requires that 95 to 99% of the ingredients follow the rules. Made with organic ingredients means that at least 70% of the ingredients were organic. USDA organic rules are about the letter of the law, not its spirit. Food marketers, however, take advantage of public perceptions that “organic” implies spirit – sustainability and better nutrition. Companies that follow the rules can legitimately market highly processed foods as organic, taking advantage of their health aura to command higher prices. Q: Aren’t organics elitist? People can’t buy organic foods if they aren’t available at an affordable price. A: I once heard Eric Schlosser answer a similar question aimed at his book, “Fast Food Nation.” He pointed out that social movements have to begin somewhere and that several began with elites but ended up helping the poor and disenfranchised – the civil rights, environmental and women’s movements, for example. CSA is becoming a more popular way for people to buy local, seasonal, sustainable food directly from a farmer. A farmer usually sells a box of vegetables or farm products to consumers on a weekly subscription basis. The consumer gets extremely fresh food that is usually organic and helps local farmers directly. New organic food rules have recently been announced by the US Agriculture Department (USDA) regarding organic meat and organic milk. Organic Milk and Organic Meat must come from livestock grazing on pasture for at least 120 days a year, and that 30% of their feed must come from grazing pasture during the grazing season. Producers must have a pasture management plan and Ranchers must have a plan to protect soil and water quality. Previously the rules state that livestock needed to have “access to pasture”, which could mean the door was open but they never went out. New rules took affect in June 17, 2010. The food at major grocery stores travels an average of 1,500 miles to get there. A typical carrot is transported 1,838 miles1. And a lot of produce even comes Mexico, Asia, Canada, South America and other countries. By the time it lands at your supermarket, it just isn’t the same as when it was fresh the ground or picked off the tree. Produce loses nutrients during transport. And it loses more while it sits on the shelves at the store, and more nutrients are lost in your refrigerator.